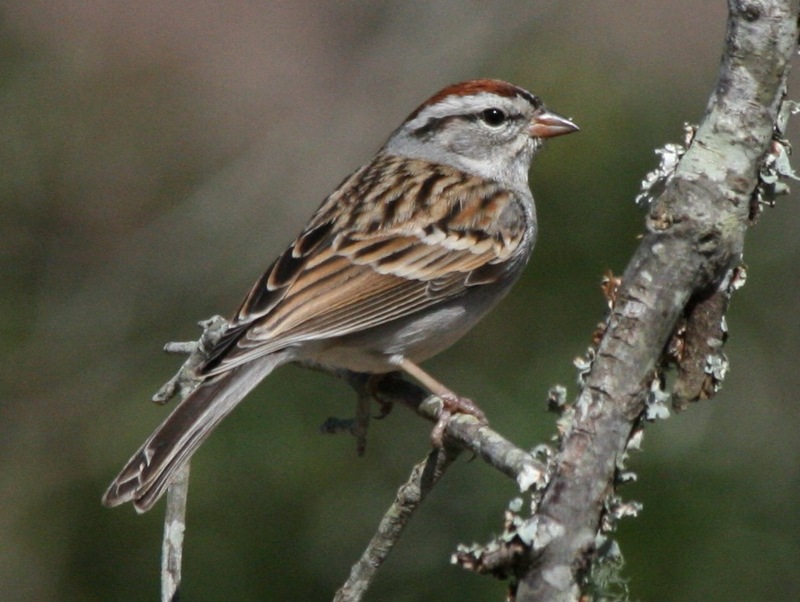 Look high up in the trees or on top of the high evergreen shrubs (and sometimes on the ground) near the birdfeeders at the Inn on Mill Creek and you may spot the Chipping Sparrow, our January 2017 pick in our 12 Months of Birding at the Inn series on the blog. The Chipping Sparrow is quite common throughout the United States, especially around wooded areas that have some open spaces. It’s pretty easy to identify, too. The underparts and face are a pale color, and it has dark streaks on its back and wings. On the top of the head is a reddish orange crown and you can see a black line running from the beak through the eye area to the back of the head. Chipping Sparrows also have fairly long tails. Once we get into spring, you’ll start hearing the Chipping Sparrow on an almost daily basis as they love to sing. The song is a series of evenly-spaced, identical chip notes. Lasting almost 4 seconds, the Chipping Sparrow’s song can have upwards of 55 notes, according to the Cornell Lab of Ornithology. This entry was posted in Birding in the North Carolina Mountains and tagged 12 Months of Birding at the Inn, birding, Winter by Inn on Mill Creek. Bookmark the permalink.